Only 8% of Nepal’s total population are older, and yet 29% of the people killed in the Nepal earthquake of 2015 were older people. Why the huge discrepancy? Dupha’s story might provide some answers. When the 7.8 magnitude earthquake struck just outside Kathmandu on 25 April 2015, the 85-year-old did not realise what was happening. Because Dupha has cataracts, he is almost completely blind. Following a long illness, he is also hard of hearing, bed-bound and immobile. It was only when his daughter began to pull him from the house that he understood the severity of the situation. ‘I would’ve died in my bed,’ Dupha recalls. Dupha, 85, didn’t even realise the Earthquake was happening until his daughter pulled him out of his house. Dupha’s situation is hardly unique. 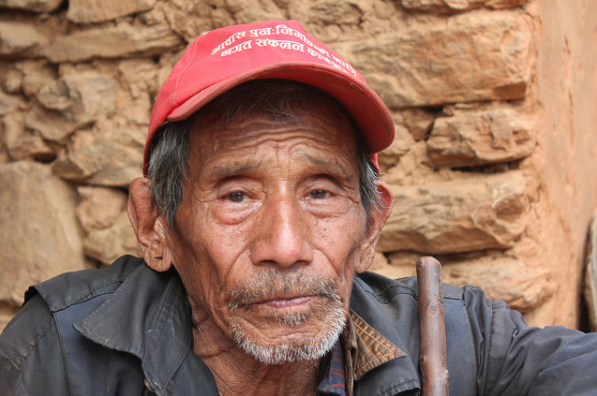 In fact, his story helps us to understand why older people are particularly vulnerable during emergencies – and why it is that so many older people died during the Nepal Earthquake. ‘It’s partly because the earthquake disproportionately affected people in rural areas and many younger people have migrated to cities; but also partly because of the different ability of older people to escape,’ Khemraj Upadhyaya, Director of our partner, HelpAge in Nepal, explains. Before the earthquake, no official records existed to show how many people in Nepal, people like Dupha, had disabilities; who couldn’t see or couldn’t hear. ‘So how do we know how many people with disabilities died and how many died because of their disabilities?’ Khemraj questions. 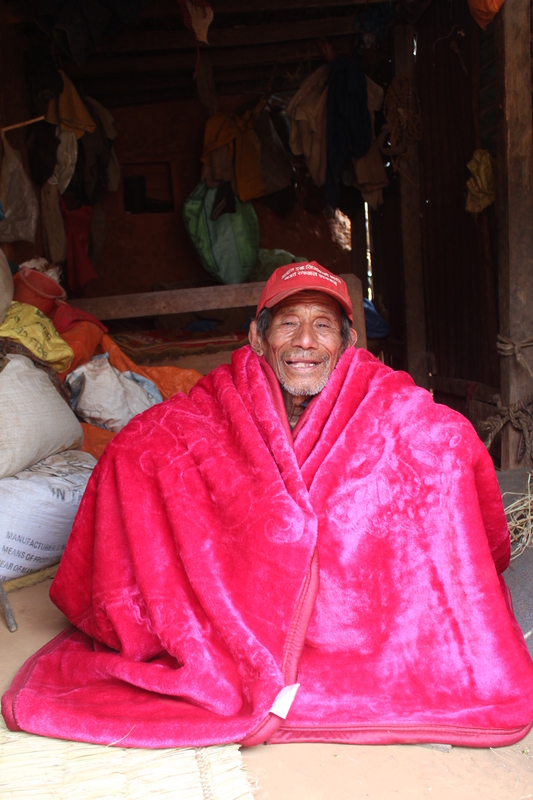 Dupha with the blanket that Age International gave him, to keep him warm after the earthquake. 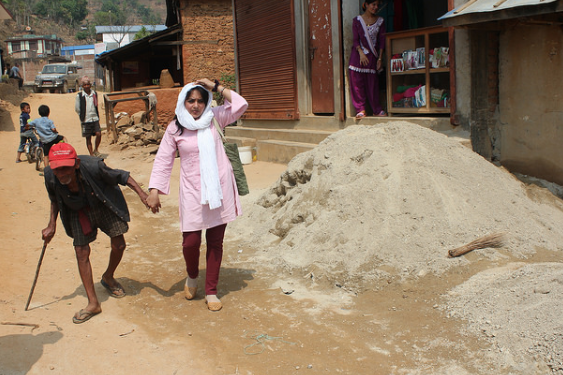 For Dupha, life after the earthquake was particularly difficult. Age International gave Dupha a blanket, a solar lamp, and materials to build shelter. We also gave him money, which he used to buy rice.